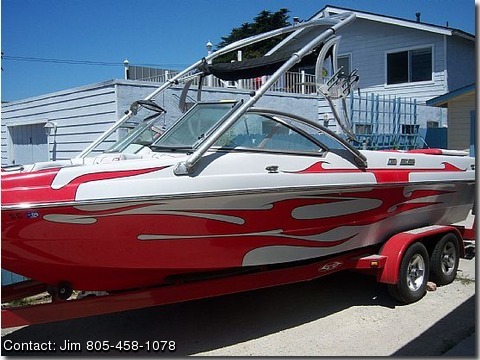 2006 MB Sports B52 — 330 HP PCM Excalibur with less than 50hrs, Propulsion Type: V-Drive It comes with storage/travel covers, Bimini top, stereo system, cooler, like new dual axle trailer with surge brakes, all wakeboard racks, lots of storage, swim platform, and 2200lbs. ballast. Amazing boat in LIKE NEW CONDITION!! !